The world’s first domestic animal anti-cruelty law may have been part of the legal code of the Massachusetts Bay Colony in 1641. Britain enacted an animal anti-cruelty law in 1822. In 1824, England established the Society for The Protection of Animals, the first of its kind. The ASPCA was founded in 1866 by Henry Bergh, a diplomat and philanthropist. 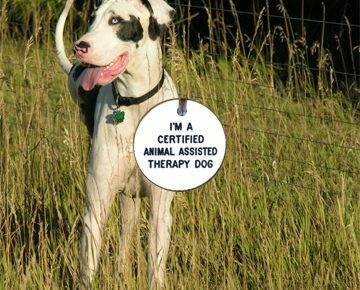 Since then many countries have enacted animal anti-cruelty and rights laws. Sadly there are still many countries that have no such laws. Even where these laws exist, they are not always enforced. With individual and public pressure, we can improve the laws and see to it that they are enforced. The following tells of how animals are treated in the entertainment field. Circus animals – The ASPCA issued a position statement opposing the use of wild or exotic animals in traveling shows such as circuses and carnivals. The Humane Society opposes the use of wild animals in traveling shows as well. Both organizations are working to end the use of wild animals in these shows. Traveling show animals are kept under harsh and cruel conditions. They don’t experience the socialization necessary for psychological well-being. They are often trained with the use of physical abuse – the withholding of food and water, beatings, whippings and anything that will induce fear of the trainer. Constant travel from place to place is extremely stressful for animals. They are confined to a small space, chained, are often without food and water for long periods and do not receive veterinary care. Animals that have escaped may attack because of their mental stress. Sadly a lawsuit brought against Ringling Bros. and Barnum and Bailey Circus for its treatment of Asian elephants was decided on behalf of the circus. 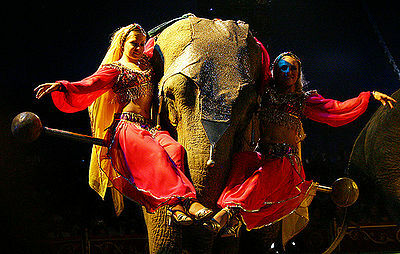 The ASPCA suggests you can help fight this cruel treatment by choosing an animal-free circus; call the host and ask that the invitation be withdrawn; ask your local humane society or law enforcement to ensure that laws regarding humane treatment of animals are followed; and making sure all permits are in order. Zoos and Aquariums – While there are still many zoos where animals are kept in less than humane conditions, modern large zoos try to house animals in exhibits as close as possible to their natural habitats. The HSUS believes strongly that wild animals should remain in their natural environments. But there is a benefit to animals kept in zoos such as saving endangered species, scientific research and educating the public about the role of wild animals in preserving our ecosystems. Only 10% of more than 2,000 animal exhibitors licensed by the USDA are accredited by the American Zoo and Aquarium Association (AZA). 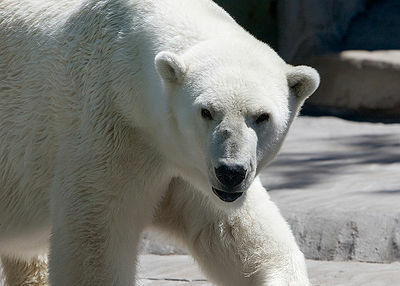 The ASPCA has a list of conditions that should be met in zoos and aquariums – the staff should be trained and educated in the physical and psychological needs of animals; enclosures should meet the standards of the Animal Welfare Act; zoos and aquariums should try to meet the stricter standards of AZA and the Alliance of Marine Mammal Parks and Aquariums (AMMPA); provide appropriate educational displays and programs; provide safety and humane treatment for animals including mental stimulation and veterinary care; assume responsibility in breeding programs and care of the offspring. Both the ASPCA and HSUS along with other humane organizations work to improve conditions and treatment of animals in zoos and aquariums. Rodeos – The Professional Rodeo Cowboys Association (PRCA), the world’s largest rodeo association, claims to have more than 60 rules regarding care and treatment of their animals. Violators can be disqualified and fined. Since fines are set so low and rodeo judges and law enforcement are reluctant to interfere in events, there are not many complaints. The PRCA booklet and Animal Welfare still lists as humane, the uses of electric prods, flank straps which are painful and cause horses and bulls to buck and spurs, all of which veterinarians say cause much pain to the animals. Rodeo events are violent and often are the cause of injury and death to both human and animal participants. Bucking horses can break their backs and legs. In calf roping,another timed event, a lasso is put around the neck of the calf, followed by throwing the calf down and often causes neck damage and death. Even many cowboys want this event eliminated. Some cities and states ban rodeos or certain events. Inhumane events are not entertainment. Encourage rodeo presenters to eliminate them from rodeos. Movies and TV – Often listed in the credits following films and TV shows that use animals, there is a statement claiming that no animals used in the film were harmed or abused. However there are sometimes depictions of cruelty to animals as part of the story line. As offensive as they are, these actions are protected by the Constitution under free speech. Sometimes real animals are not used for such scenes. The American Humane Association, Movie and Television Unit, as part of an agreement with the Screen Actors Guild, oversees live animal use in movies and TV. The HSUS Hollywood Office works to advance the humane treatment of animals in movies and TV. But they don’t cover trainers whose animals are hired to appear. Animals on the Internet – The Internet is a very useful tool in learning everything there is to know about animals. It is both educational and entertaining. However you must beware of unscrupulous people who use the Internet to show inappropriate movies with animals, who sell outlawed and endangered animals, sell dogs from puppy mills – the list is long. Be sure to check out the sites you visit to ensure they are legitimate. Marine Mammal Parks – are commercial theme parks, a combination of amusement park and aquarium. AAMPA, the Alliance of Marine Mammal Parks and Aquariums is an international organization. Represented are marine parks, aquariums, zoos, their research facilities and professional organizations. Their aim is to provide the highest standards of care for marine mammals and to aid in conservation in the wild. They have research and education programs designed to help marine mammals in the wild. Their rescue programs include nursing stranded animals back to health. There is much controversy over whether these parks should exist. Both the ASPCA and the HSUS and other animal rights organizations are opposed to marine mammal parks. The ASPCA feels that these parks cannot meet the needs of marine mammals either physically, socially or behaviorally and feel marine mammals should not be taken from the wild. These and many other animal rights organizations believe that these mammals suffer cruelly when captured to provide entertainment for the public. In the best of situations their needs cannot be fully met. As an example, imagine roaming freely thousands of miles at will and suddenly being confined to a much smaller tank. Dr. Naomi Rose, a colleague of Wayne Pacelle, president and CEO of HSUS, has testified this May before a House subcommittee on the legal and ethical issues regarding marine mammals in captivity. In light of the death of SeaWorld trainer, Dawn Brancheau, February 24, 2010, investigations into other orca attacks against trainers is ongoing. Tilikum, the orca involved in the Brancheau death faces an uncertain future. A solution offered is to retire Tilikum to a similar situation to Keiko, the orca starred in the “Free Willy” movie. Although Keiko was released and allowed to roam freely, Tilikum would be in a large sea pen. Keiko was able to live 5 more years in his natural habitat. Please report any act of animal cruelty to your local law enforcement agency or the ASPCA and HSUS.